From food to sleep and stress to other lifestyle factors, millennials need to make some crucial changes in their lives to help reduce the risk of cancer. When dealing with cancer, ‘Prevention is better than cure’ is an apt approach. This is particularly true in the case of millennial women, who are commonly afflicted by breast cancer, colon cancer, cervical cancer, ovarian cancer, endometrial cancer, lung cancer and skin cancer. Cancer could be caused by a single or multiple triggers such as genetics, environmental or lifestyle factors. “Cancer arises when damage is done to our DNA – either via the inheritance of damaged genes or certain environmental (UV light, melanoma, etc.) and lifestyle factors (tobacco, drugs and alcohol abuse, processed foods, etc.). Once the DNA in our cells is damaged, it may cause them to multiply in an uncontrolled manner,” says Dr Rupashree Dasgupta, Director & HOD – Obstetrics & Gynaecology and Gynaecological Oncology at Nayati Healthcare & Research, Mathura. Treating cancer is exhausting and expensive and can be truly traumatic for patients as well as their near and dear ones. Consequently, a preventive approach to cancer is best in limiting death and disease rates. 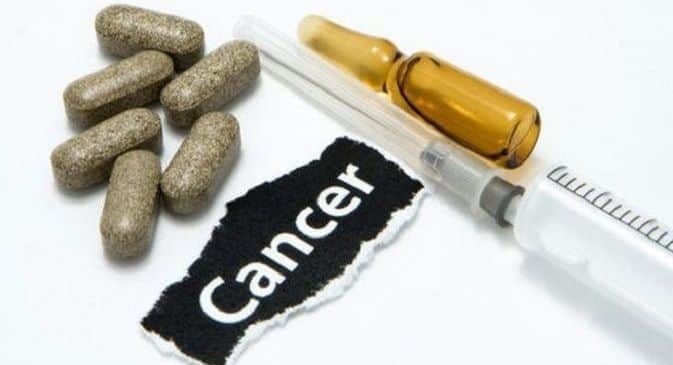 It is important, however, to know precisely how to prevent different forms of cancer. Timely Screening Tests: “In some cases, screening tests can be done periodically. But please note that a screening test is not diagnostic but offers an indication of whether one should proceed with definitive diagnostic tests. Some important screening tests for women are mammogram for breast cancer and Pap smear for cervical cancer,” Dr Rupashree suggests. Self-control: Avoiding tobacco, drinks and drugs is crucial because these can cause cancers of the lung, mouth, throat, pancreas, bladder, cervix and kidneys. Smoke- and Pollution-free Environment: Even exposure to secondary smoke – or passive smoking – raises risks of lung cancer. Regular Exercise: A daily exercise regimen helps maintain optimal body weight, thereby boosting the prevention of various cancers such as breast, ovarian and endometrial. Healthy Diet: Eating fresh fruits and green, leafy vegetables daily as well as nuts and whole grains, while cooking in a healthy medium such as olive oil, can promote good health. Avoid (or minimise) the consumption of alcohol, chocolates, sugar, processed foods and red meat. Also avoid sugar-free sweeteners, as these are considered carcinogenic. Natural sugar substitute stevia can be used. Proper Bodyweight: Avoid obesity since it promotes numerous ailments, including cancer. Vaccination: “Cervical cancer can be prevented via the HPV vaccine – approved for use between the ages of 9 and 45 years,” Dr Rupashree says. Avoiding Risky Behaviour: Always use condoms, which can prevent HPV transmission while providing protection against cervical cancer too. Limiting Sun Exposure: It is best to avoid the hot sun rays, especially during midday, when the exposure can be more damaging. When outdoors, always use sunscreen, preferably SPF 30, which is helpful in preventing skin cancer. “If these tips are followed diligently, millennial women can limit their chances of developing cancer,” Dr Rupashree says.